I'm celebrating 2 years of Milk the Weed with the nerdiest, awesome-ist list of links on butterfly and pollinator gardening I can come up with. It's certainly not a complete list, but I hope it's helpful to you as both a practical and philosophical guide. Time to make a profound change in our landscapes; time to connect in a deeper way to our home ground and ourselves through the web of life that sustains us. * Prairie up! 12 U.S. milkweeds in depth from the National Wildlife Federation. Milkweed species by state as listed by Monarch Watch. Total milkweed guide -- how they get pollinated, pics, ranges, how to propagate. Everything you ever wanted to know about milkweed. Period. From The Xerces Society. Collecting and growing milkweed from seed courtesy of Beautiful Wildlife Garden. A rundown of all the key topics, with links. Conservation photographer Joel Sartore takes action and prairies up his Nebraska farm. How monarchs use milkweed, from toxicity in certain species of milkweed to butterflies self-medicating. Can milkweed be bad for monarchs? 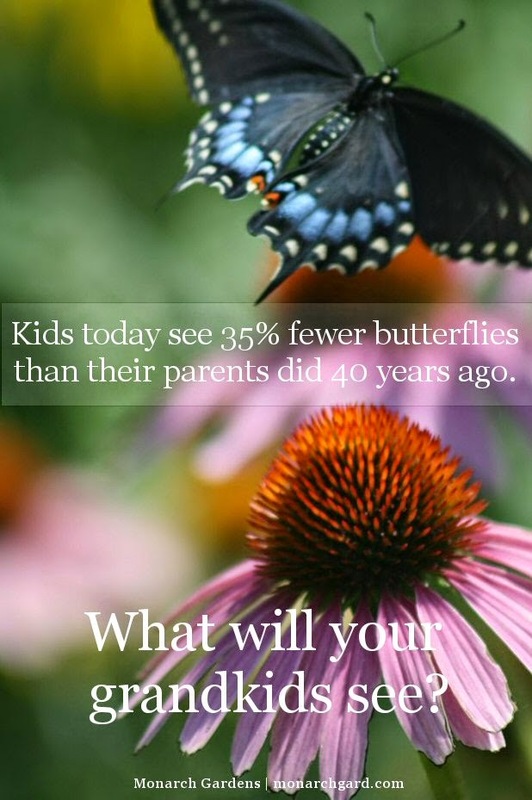 The loss of monarchs is a loss of far more. 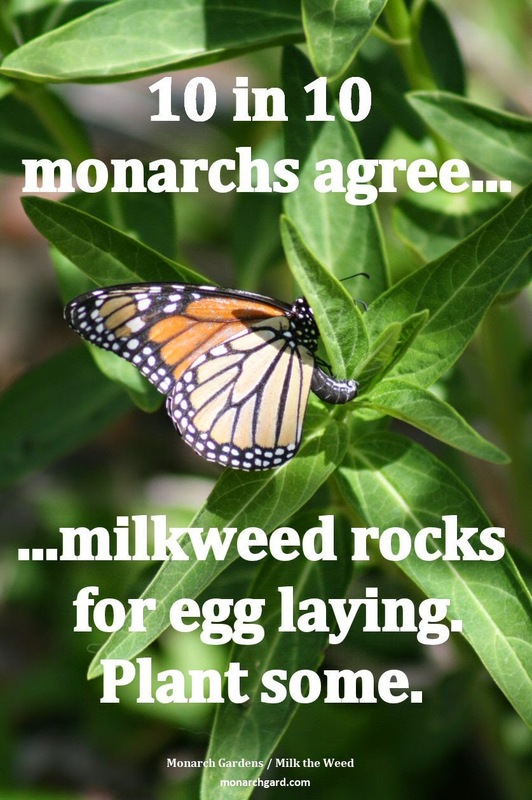 How the farm bill hurts monarchs via High Country News. 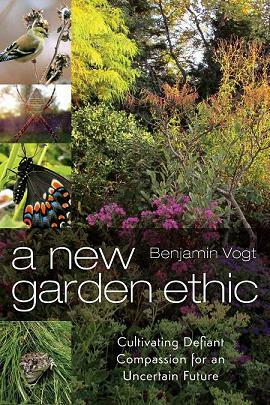 The ethics of native plant gardens. Non native plants may be ecological traps for wildlife. 90% of insects will only eat and reproduce on plants with which they have an evolutionary history. 96% of songbirds feed insects to their young. Songbirds are vanishing at 1-3% per year. Follow the link. How to find the right plant for your landscape. 6 native plants that beat butterfly bush for the wildlife draw. 15 native flowers to help native bees. Further, why we need more native bees and fewer honey bees. Many native plants, especially those found in prairie or meadows, will perform worse in rich garden soil. From ASLA. 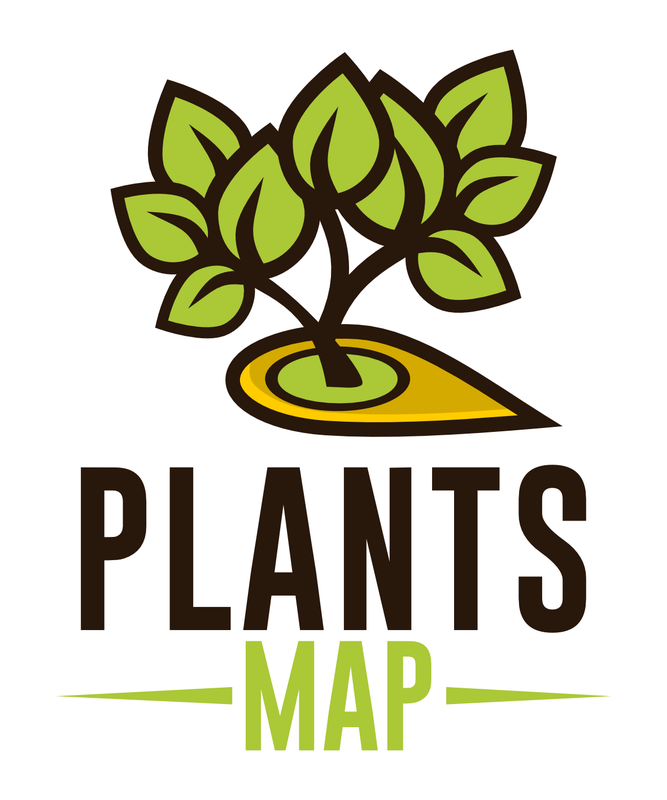 Where to find native plants in your state. How to start a native plant garden, from Wild Ones. 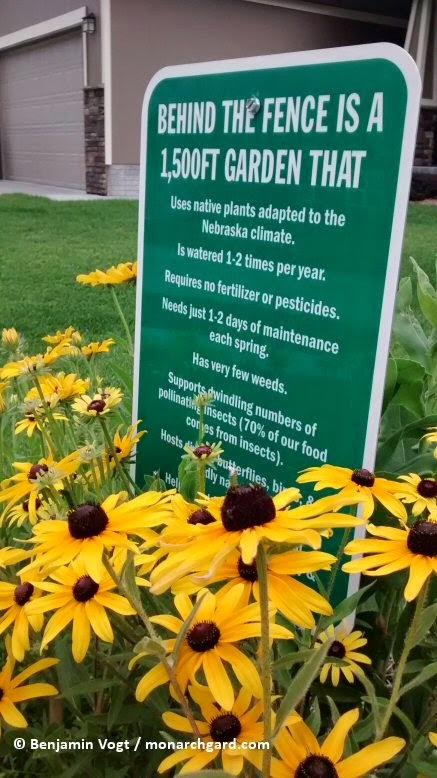 Landscaping with native plants, via the Minnesota DNR. 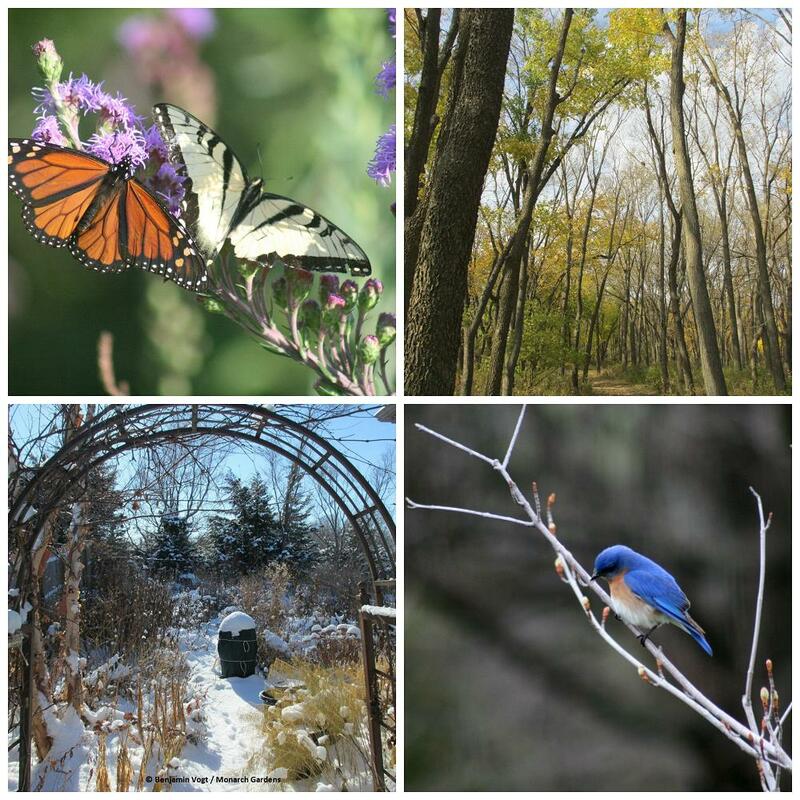 Native plant garden strategies from Native Plants and Wildlife Gardens. Garden by ecoregion, not hardiness zone. Creating monarch habitat, from Monarch Joint Venture. 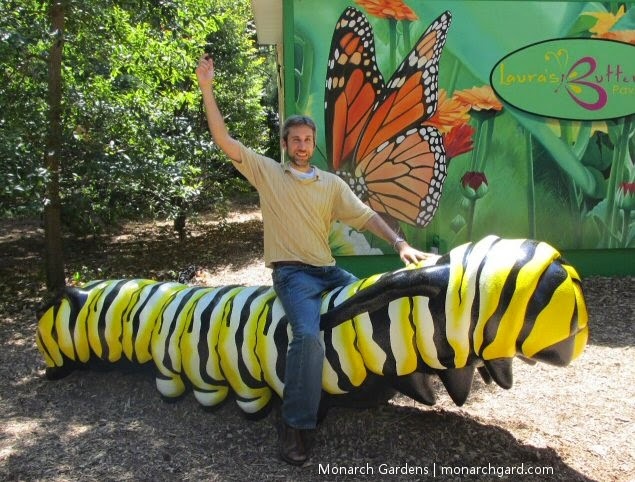 What monarch butterflies taught me about garden design. Gardens must go beyond beauty and address climate change, wildlife loss. *Your garden is a protest. It is a place of defiant compassion. That space is one to help sustain wildlife and ecosystem function while providing an aesthetic response that moves you. For you, beauty isn't petal deep, but goes down into the soil, further down into the aquifer, and back up into the air and for miles around on the backs and legs of insects. You don't have to see soil microbes in action, birds eating seeds, butterflies laying eggs, ants farming aphids -- just knowing it's possible in your garden thrills you, it's like faith, and it frees you to live life more authentically. Your garden is a protest for all the ways in which we deny our life by denying other lives. Go plant some natives. Be defiantly compassionate. Good message! Not sure why Wild Ones, Native Plants, Natural Landscapes isn't on your list. wild Ones is the only organization that teaches how to work with native plants. Local chapters offer information on local ecosystems, kind of a neighbor helping neighbor system. Although there are currently no chapters in Nebraska, there is one in Colorado, our first western state to charter. Seven chapters here in Minnesota and growing. Lots of great resources here. Glad you wrote this. I will def. share this. Thanks B.V!